I'm working on some more pirates for the Solar Empires setting. These are Ghost Legion "Dogs" (veteran pirates troopers). The Ghost Legion are a newer pirate band who were part of the Star Guards mercenary company but turned to piracy after the "4 Vesta Incident" of 3028. As such they still use a lot of former Star Guard equipment and weapons. 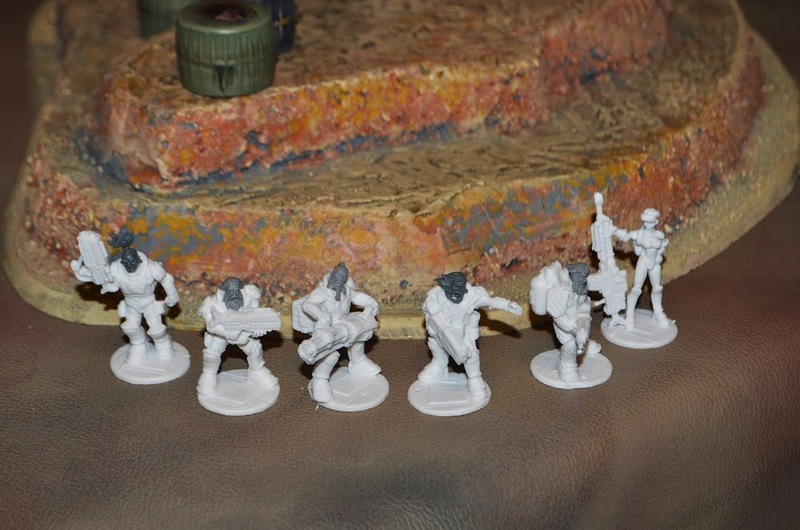 I've converted these guys from Reaper IMEF troopers with some Games Workshop heads from various Warhammer Fantasy sets. This is a Bulldog Rover Armored Fighting Vehicle. These antique transports were designed hundreds of years ago by the Terran Federation when they controlled the moons and planets in most of the outer solar system. The Bulldogs were designed for long term missions over any terrain in hostile environments. They are completely environmentally sealed and use a fusion engine that can operate for years without refueling. Ironically designed to defend early settlements against space pirates they are now commonly used by pirate bands. 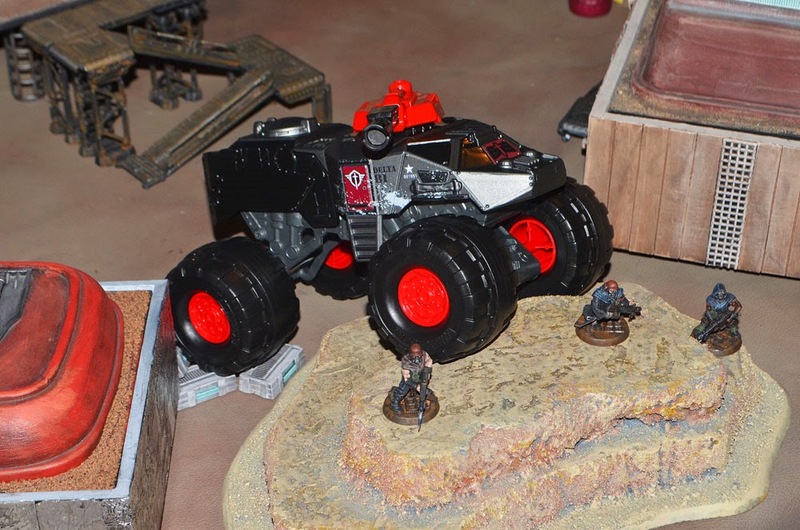 This vehicle is a Matchbox "On A Mission" toy called the "Battle Blaster". Even though it is very large I thought it worked fairly well as a heavy rover. Good to see another band of pirates. I love that rover. SF needs big vehicles and it fits nicely.